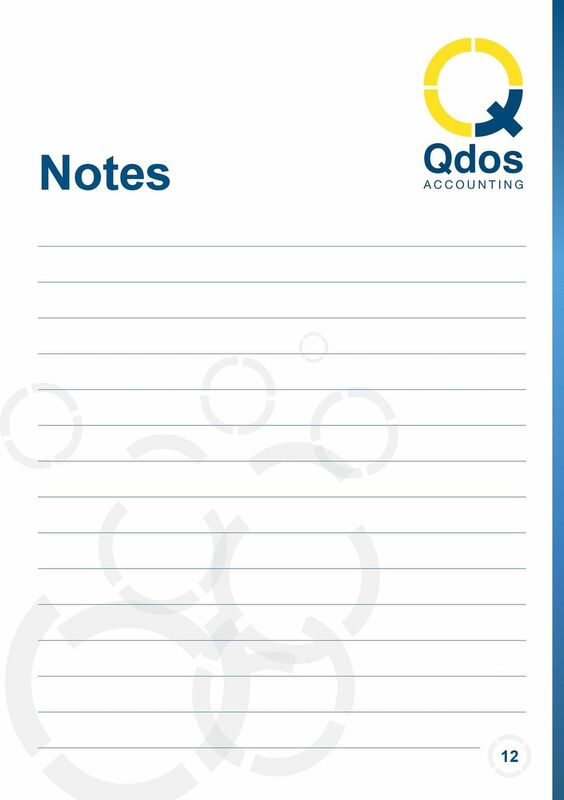 Download "Qdos ACCOUNTING. 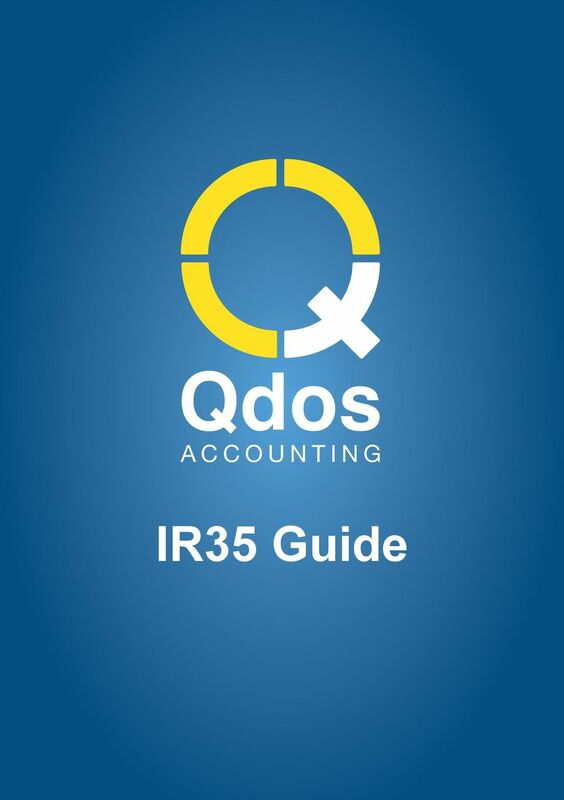 IR35 Guide"
2 Qdos succeed in another IR35 case I just wanted to thank you very much for all the support and help that you gave to me whilst representing my limited company in an IR35 Investigation. 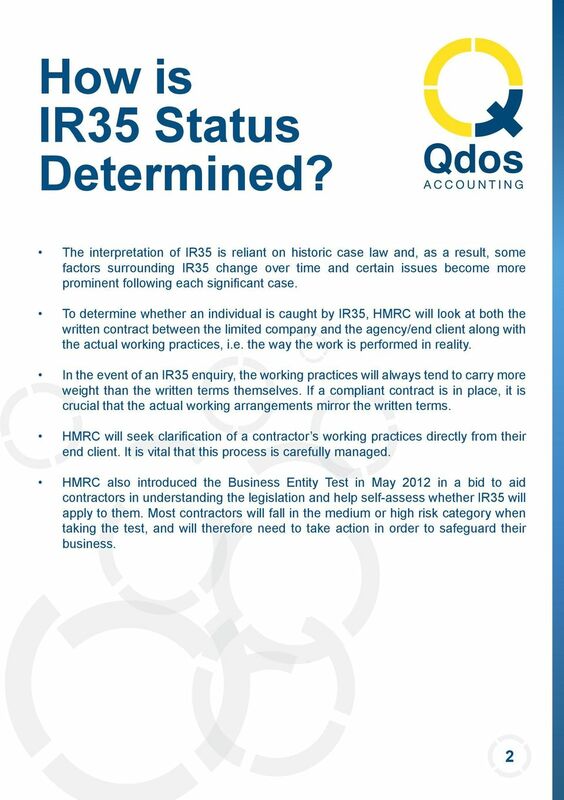 To have such a quick response from the HMRC that all of the contracts I had held during that time were outside of IR35 was a massive relief to me. 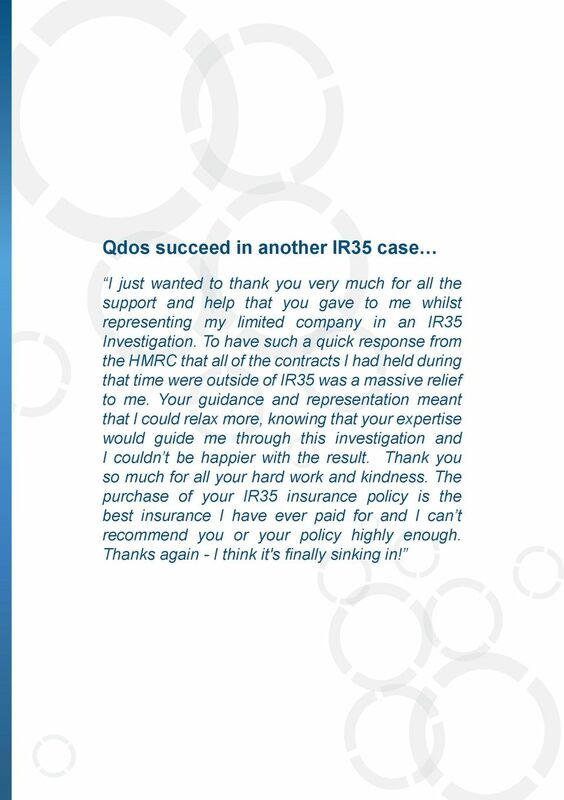 Your guidance and representation meant that I could relax more, knowing that your expertise would guide me through this investigation and I couldn t be happier with the result. Thank you so much for all your hard work and kindness. 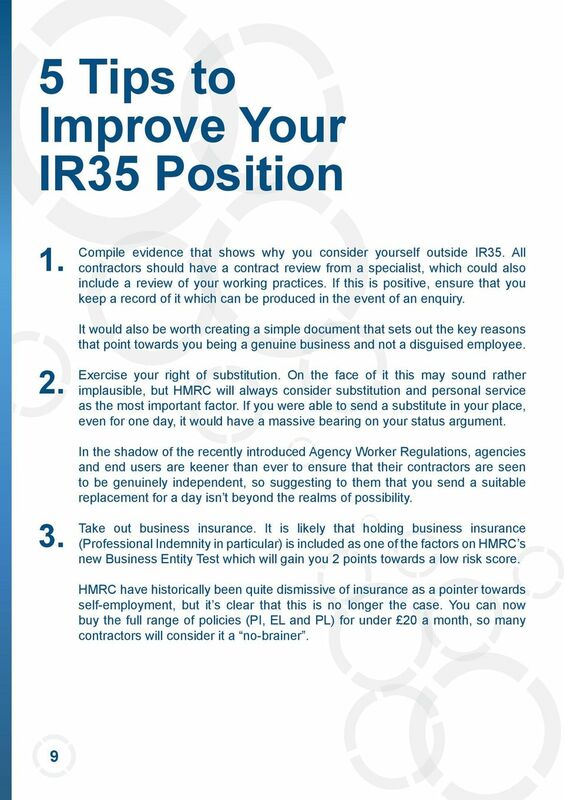 The purchase of your IR35 insurance policy is the best insurance I have ever paid for and I can t recommend you or your policy highly enough. 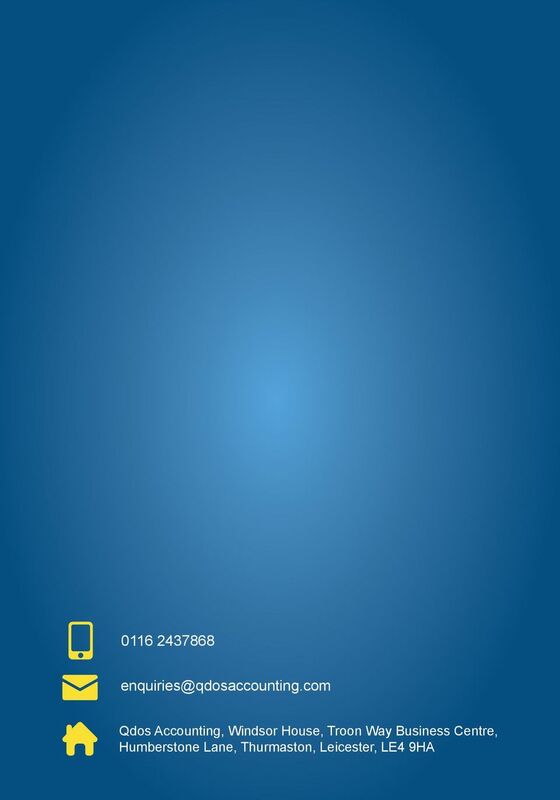 Thanks again - I think it's finally sinking in! 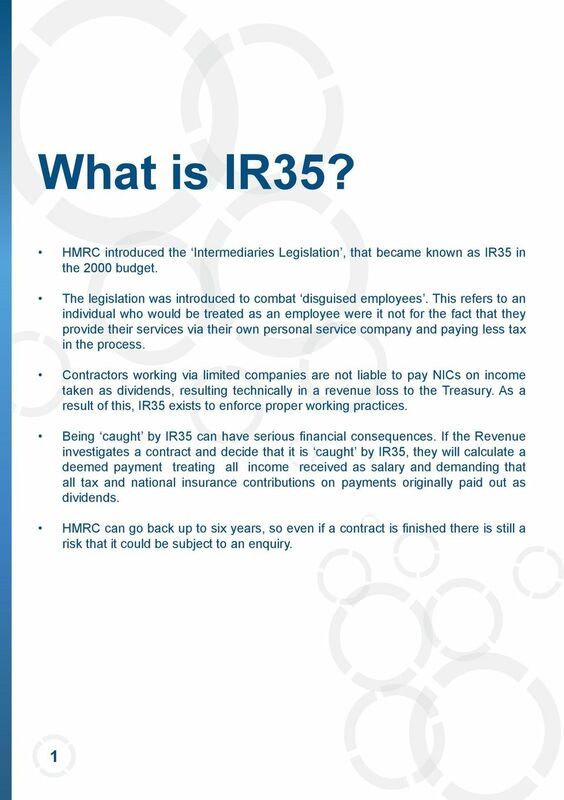 What is IR35? 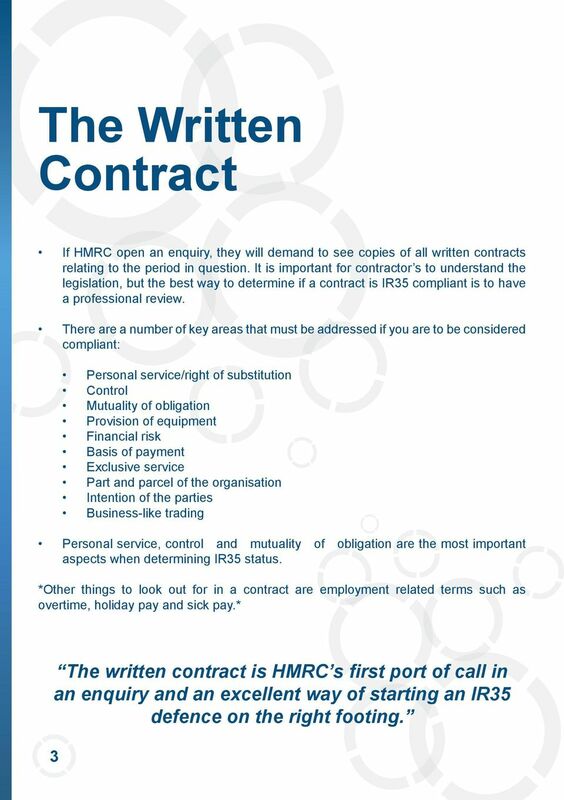 the power of unlimited delegation is almost conclusive against the contract being a contract of service. 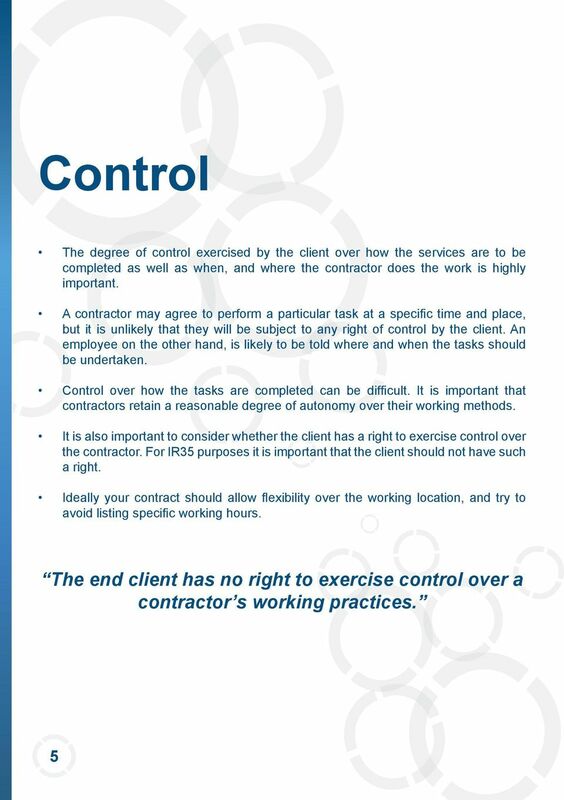 Employment Intermediaries Legislation Changes to ITEPA 2003 via the Finance Bill A guide for workers. Introduction. 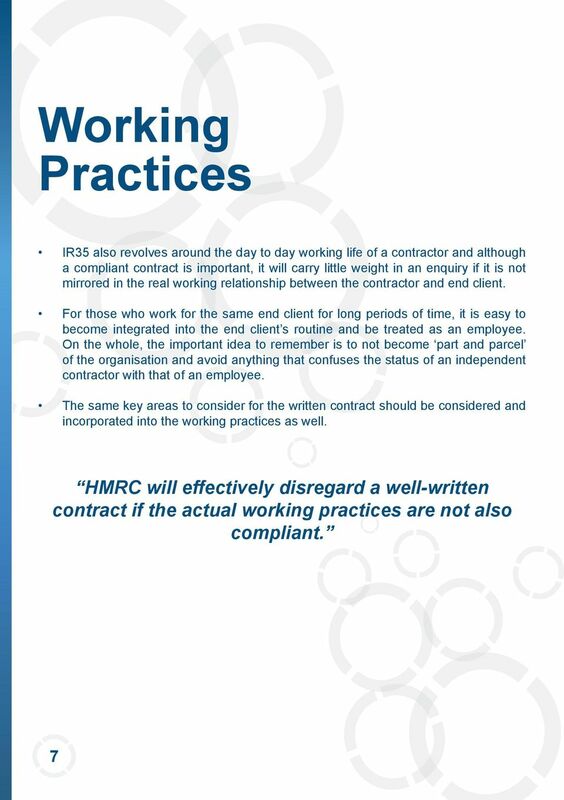 Employment Intermediaries Legislation Changes to ITEPA 2003 via the Finance Bill 2014 A guide for workers Introduction This guidance document is intended for use by APSCo members to provide to their workers. 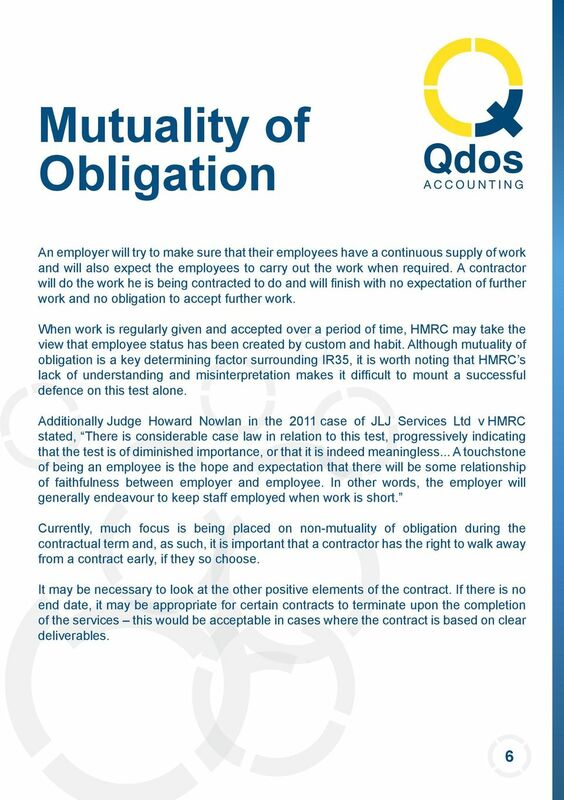 Employment status Document 8. 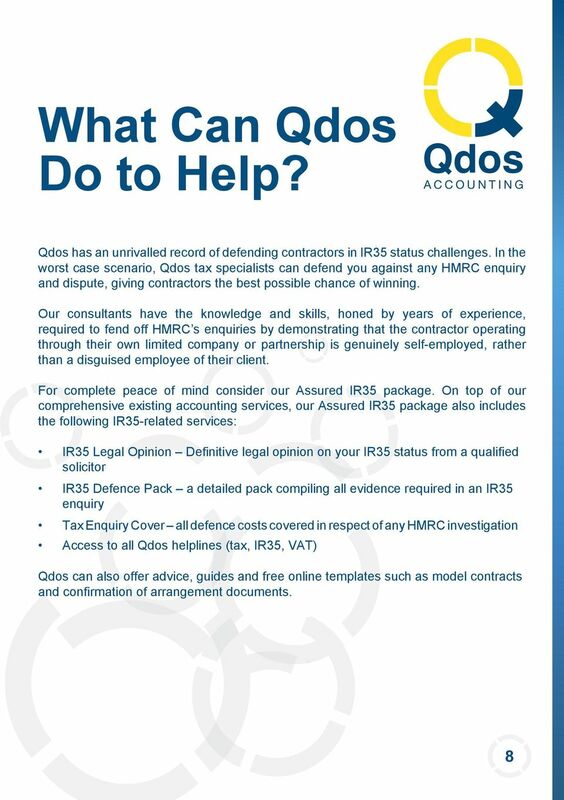 Employed or self-employed? 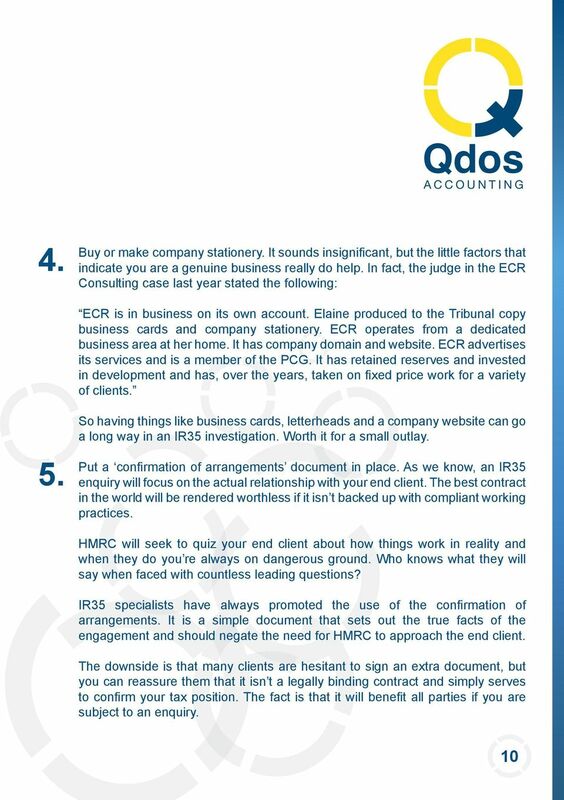 Issues for growing businesses Employment and recruitment legal issues for employing staff Employing staff, and especially employing your first member of staff, can be a minefield for growing businesses. 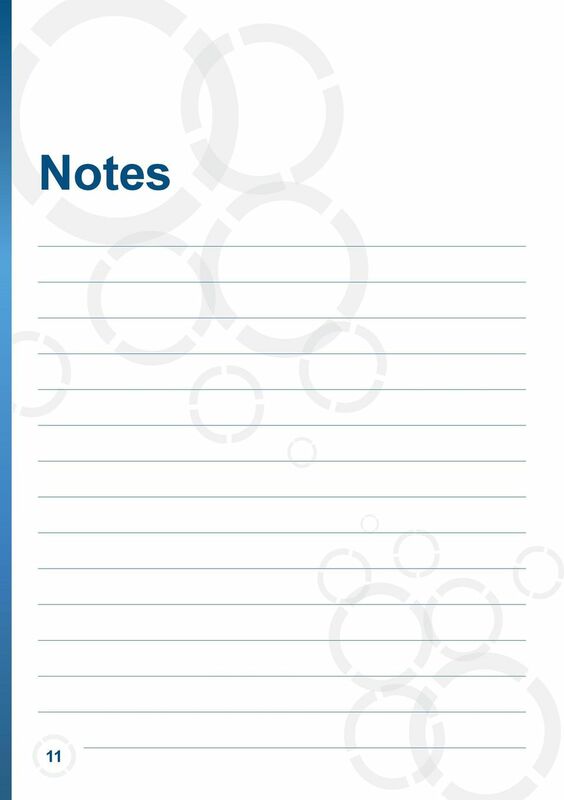 Employment in community buildings Employment in community buildings Most village halls employ some staff, generally part time. 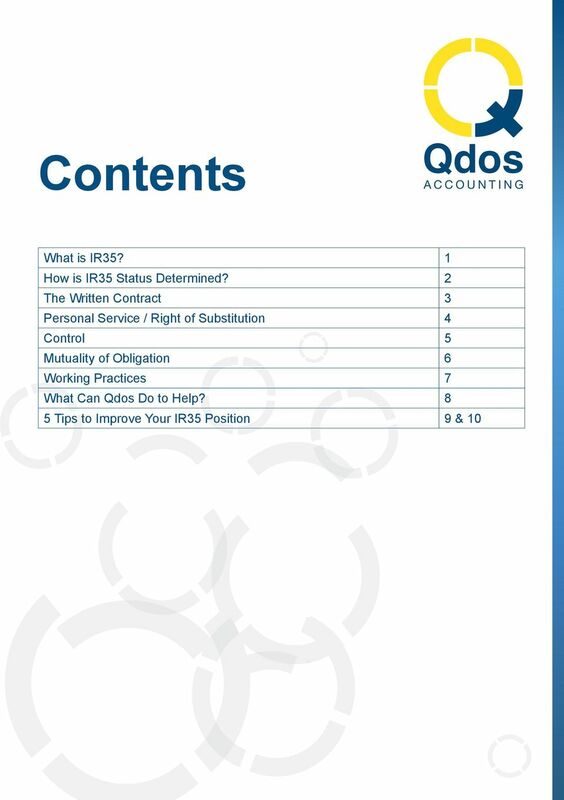 As a result trustees must be aware of their responsibilities as employers. 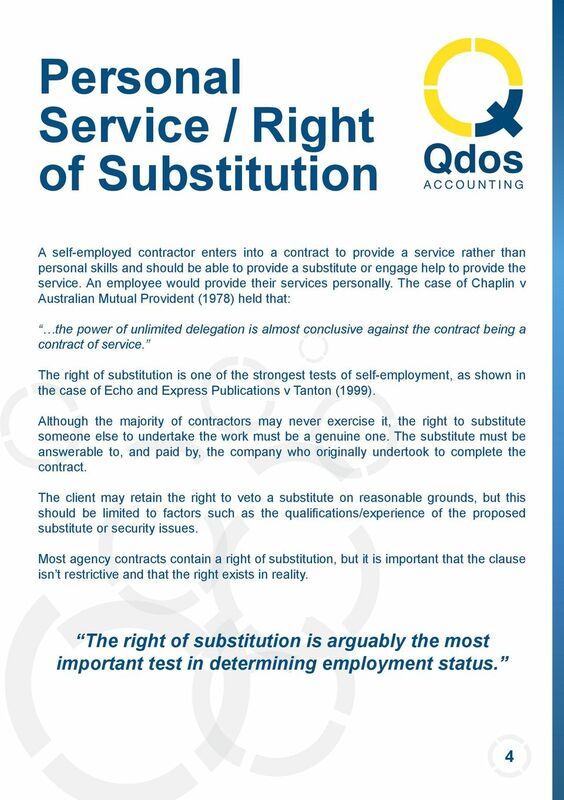 Employee vs. Self-Employed: How to Check?